Have A Headache? Does Your Little One Seem Tired Or Cranky? These Might Be Signs Of Dehydration. or your kids (if you have any) rehydrate with Pedialyte® to See the Lyte and feel better fast. We lose water every day through natural bodily functions, but dehydration occurs when we lose more bodily fluids than we’re taking in. Because humans are made up of mostly water and electrolytes, we need to maintain the proper balance of these in our system. That means staying hydrated is important throughout the day. Proper hydration improves mood, boosts brain function, and prevents fatigue. It also helps to keep skin moisturized, produce necessary bodily fluids, such as tears and saliva, and remove waste through sweat, urination, and stool. 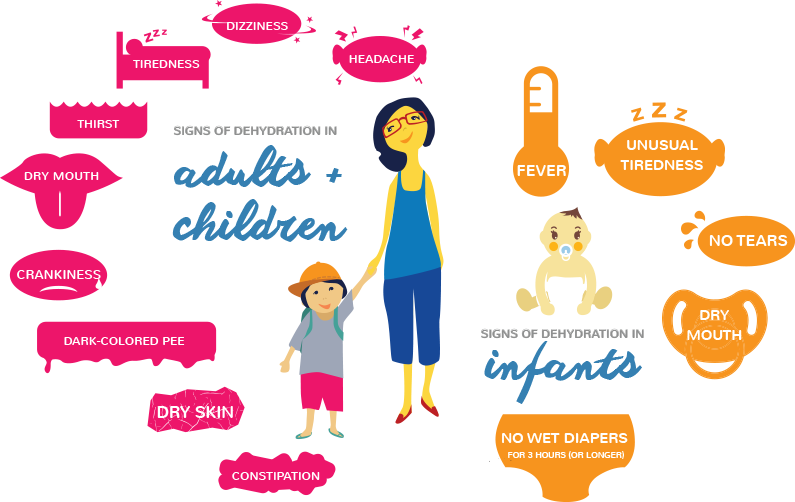 Several things can cause dehydration but anytime you or your little one experiences excessive loss of bodily fluids through sickness, it can be hard to stay hydrated. You or your little one may lose more water and electrolytes than you’re able to easily replace by eating and drinking. 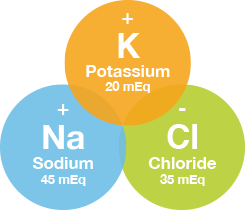 Electrolytes are minerals essential to your health. They help carry electrical signals that power your nerves and muscles, maintain your blood’s proper pH, and balance fluids in your body. You get electrolytes from what you eat and drink, and you lose them any time you lose fluids (like when you sweat or go to the bathroom). Water doesn’t have enough electrolytes, so for mild to moderate dehydration, often just drinking water isn’t enough. For proper hydration, we need both the fluids and electrolytes, like those found in Pedialyte, to rehydrate and feel better fast. Several things can lead to dehydration. Luckily, Pedialyte can help you or your family hydrate no matter what causes your dehydration. Expectant mothers may find they spend a lot of time in the bathroom vomiting, which can lead to fluid and electrolyte loss. Pedialyte is safe to use if you’re expecting, but be sure to talk to your doctor about your morning sickness symptoms and rehydration. For more than 50 years, Pedialyte has helped people of all ages replace both the fluids and electrolytes they’ve lost due to challenging moments of dehydration. 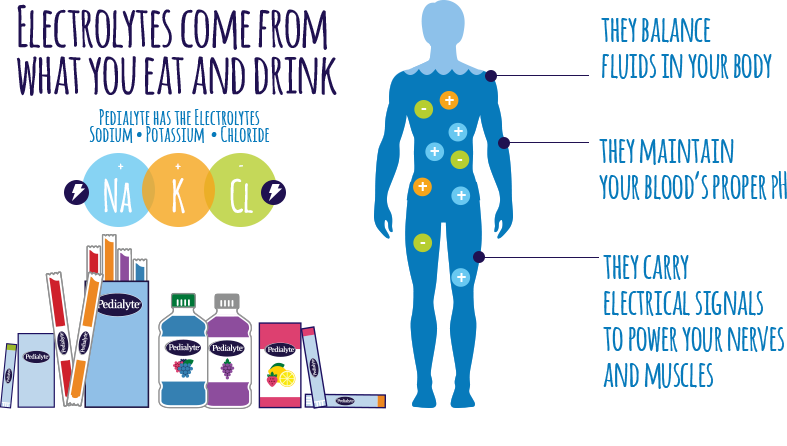 Backed by advanced science, Pedialyte contains the optimal balance of sugar and electrolytes for fast rehydration. And we’re the #1 Pediatrician recommended oral electrolyte solution brand and the #1 Pharmacist recommended brand for hydration. So rehydrate with Pedialyte to See the Lyte and feel better fast.